Send your taste buds on a frosty adventure with SMASHCRISPY Mint Chocolate Chip marshmallow rice treats. 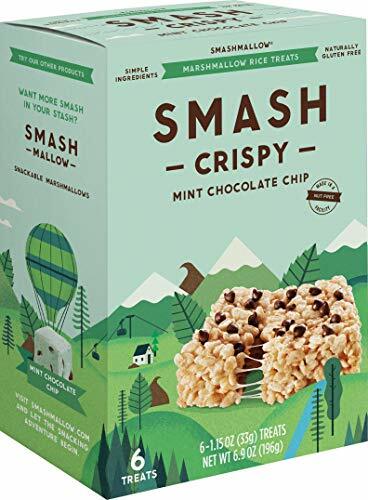 6 pack of naturally gluten free SMASHCRISPY Mint Chocolate Chip rice treats. Show your lunchbox some love. SMASHCRISPY is the perfect treat to snack and pack. SMASHMALLOW believes in simple ingredients. Dairy, Soy & Gluten Free. Made with Organic Crisp Rice and Organic Cane Sugar.